Jodi Ellen Malpas continues to be an author that completely consumes me within every single book she writes. She is one of my absolute favorite authors, and her books continue to wow me and blow me away with all that they have. The way her writing pulls me into it all, the way she brings this unforgettable intensity to every word, and the way she weaves so much emotion and fire and power to what she so beautifully crafts is just part of what has made her books some of my all-time favorites. I think it’s pretty much impossible for this author to write a book that I won’t love. She just has a way of writing and storytelling that is enthralling, breathtaking, and bursting with a love story that takes ahold of me with all that it has. Jodi Ellen Malpas knows how to write a mesmerizing love story through and through, one that will own you, your heart, and your very mind, and one that will have you so beyond in every word of what she so phenomenally creates. The Forbidden was no different. This book captured me in from the very first page, pulled me right into the thick of it with its characters, and had me completely engrossed in the intensity and spark of it all. This story definitely pushes the boundaries, but does it in a way that is real, honest, heart wrenching and truly unforgettable. The moment I finished this story, I just wanted to start it all over again to experience more time with these characters because that’s how much I loved this book. Jodi Ellen Malpas once again blew me away with what she gave me in this book. The Forbidden was bursting with her exceptional writing, her dynamic characters that completely seared themselves to my heart, and a story that had me living and breathing and feeling every word from start to finish. This book was incredible, so well-paced, and had my heart in every single word, and that is just part of what made me love it so much. A love story that pushes the boundaries. From the moment I read the blurb for The Forbidden, I knew that this story would be one I would not soon forget. The blurb had me all kinds of ready to figure out why Jack was forbidden, how he would meet Annie, and what would transpire between them. Jodi Ellen Malpas completely lets you understand every part of what makes Annie and Jack’s relationship forbidden. She lets you see and experience where it all begins, how they fight against it, how it pushes them both further and further over that edge, and how it all keeps building and building through every amazing word. The way she so thoughtfully creates that in this book is just part of what makes this story so intense and unforgettable, and it is what had me needing to know what would happen next and how everything would work out. The Forbidden gives a story that will push your mind and heart and morals and boundaries a bit, but it does it in the most exceptional way that truly allows you to understand and feel every part of these characters and what they share. No matter what you might feel about the forbidden nature of the relationship between Jack and Annie, you will feel a lot, and that will give you the most incredible reading experience as this story unfolds. Trust. Me. All those flying sparks. When I tell you that the connection between Jack and Annie is intense, I mean it is one of the most intense, fieriest, and passionate connections I have read between two characters. The sparks and pull between Annie and Jack is magnetic, so strong, and it burns every single second that those two are together. From the very first moment they meet it fires off the page, and even after the forbidden nature of their relationship is revealed, that connection and those sparks are still right there at the surface. Every new moment with Annie and Jack deepens what they share, their fight against it all, and what it’s making them feel. The way that you experience all of that fire and spark with them will have you burning for those two, what it all means, and how it continues to build and intensify. It was that spark that pulled my heart to them and that allowed me to root for them, it showed me why they fought against the pull they shared so hard, yet at the same time couldn’t help but feel what they did, and in the end it was what made this book so incredible to read. Annie’s journey. Annie was a character that I found to be very real and relatable. She is a young woman in her late twenties doing all she could to make her dreams a reality. She doesn’t have any time for a relationship, but all of that changes when she meets Jack. After a night of passion that she knows she’ll never forget she soon starts to think that she might have just met someone she wants to know more of. The only problem is that she soon finds out he is forbidden, and she isn’t supposed to have him. What ensues in this book is Annie’s own emotional and personal journey to discovering what is right, what is wrong, what she feels, what she pretends she doesn’t feel, and what she really and truly wants. This book and its events push Annie to her limits. They make her question everything she thought she knew about herself, her morals and ethics, and it makes her fight with all that she has against her desires and heart. The more this story unfolds, the more Annie discovers that her fight might not be as strong as she thought it was. Getting to be there with her as she dove heart first into the web of the forbidden was everything, and I loved every second I got to spend with her real and relatable character. Jack’s heartfelt determination. Jack was a character that stole my heart from the very first moment I met him in this book. He was a character that was alluring, that was tempting through every single breath, and that had me questioning my own thoughts and feelings with what was right and wrong. That man just melted my heart, and getting to experience the effect he had on Annie, the effect she had on him, and what was transpiring between them as they waded through their feelings was amazing. What I loved about Jack was that through it all he was a man that I knew had a heart of gold. He was a man who was going to fight for Annie, fight for what they felt, and who was going to fight for what they could share together with all that he had. I loved feeling every ounce of that determination with Jack, and that just pulled my heart to him again and again. The way that Jodi Ellen Malpas gave me so much with his character even though I wasn’t actually in his head made me fall for that man something fierce, allowed me to understand the struggle he felt, as well as the effect he was having on Annie, and in the end it was what made me love him so so much. All the feels and struggle. The Forbidden not only packs a story of romance and forbidden and spark, it also packs a story that finds the perfect balance of feels and struggle. This story pushes these characters to their limits, and puts them through so much. It makes them struggle with their minds and hearts and even some outside forces. It brings up discussions they aren’t prepared for, it tears them in two, and it pushes everything they think they know about themselves. Jodi Ellen Malpas did the most exceptional job weaving in those feelings, those breathtaking emotions, and all of that external and internal struggle these characters go through in this book. She let me feel it all with them, and that put me in every amazing word of this story. At times that hurt my heart for what these characters went through, at others it soared with them as they felt what it did, and through it all it had me consumed with every emotion and feeling they went through as this story came to be. I was that level of emotion and feeling, along with that struggle that really put me in what I was reading, and what had me needing for things to work out for these two because of what I got with them. Twist and turns, oh my, oh my. Let me tell you that this story is chalk full of events that will literally steal your breath, and have you turning the pages of this book like crazy to figure out what will happen next for Jack and Annie. The way Jodi Ellen Malpas intricately places the twists and turns of this story, the way she allows to you feel the effects of those twists with these characters, and the way that she makes those moments completely heart stopping was phenomenal. That was just another thing pulling me in more to everything I was experiencing in this story, and it was those twists and turns that had me unable to put this book down for anything. The way those twists and turns add to the story and what these characters share pulled every part of my heart and mind into what I was reading with them, and I loved that. It made this story full of adrenaline pumping moments, so much heart and emotion, everything Jack and Annie shared, and through it all it had me so encapsulated in every unforgettable word. 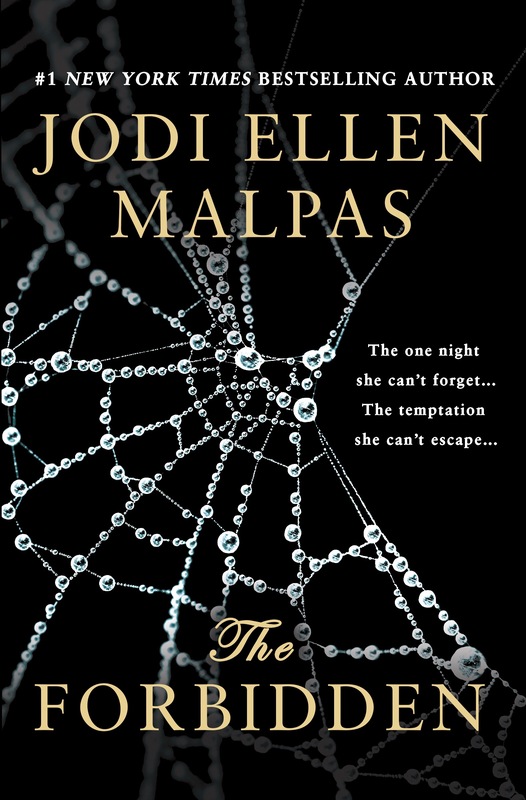 The Forbidden was another outstanding story by Jodi Ellen Malpas. This story definitely pushed my heart and all of my emotions to the edge, but it did it in the most intense and all-feeling way that I know I won’t soon forget. Everything I got with Annie and Jack as they wove their way through the web of their forbidden feelings was real, raw, so incredibly intense, and so packed with the most breathtaking emotion that gave me it all. This story and its characters were exceptionally developed and crafted, had me feeling so much through every word, and in the end they gave me a reading experience that was the perfect amount of romance, fire and spark, emotion, and shocking twists and turns that had me encapsulated within it all. Jodi Ellen Malpas created the most phenomenal story and characters in The Forbidden. She created a book I could not put down, and she created a love story that struck me to the core of my heart. This book wowed me, it consumed me, and it pulled me in a million different directions with its characters, and I can’t say enough how truly incredible it was to read and experience. The Forbidden is a story that will make you think and feel and question from page one to the very end. It will push your heart and your emotions and your mind through every word, it will give you Annie and Jack and the forbidden web their relationship weaves, and in the end it will give you one helluva love story that I promise you won’t soon forget.